Happy Halloween everyone! I hope you all have a great Halloween weekend – our days are filled with trick or treating, and a costume birthday party for a certain boy turning 9 years old (yikes!). Over on Susanna Leonard Hill’s blog, she’s sponsoring her annual Halloweensie contest. We are challenged to write a 100-word Halloween story for children using the words costume, dark and, haunt. Winnie knew her costume was a mistake. Inside, her sparkles had shined in all the right places. But outside in the dark night, everything was gray. A haunted ghost passed her. She should have dressed scary. Her sister Jean walked up dressed in a fluffy tutu. “I know what you’re missing,” Jean said. She pointed her flashlight at Winnie. Colored reflections circled everywhere. “Now lead the way,” Jean said. Winnie raised her chin and proudly led them through the neighborhood. She returned home with a grin on her face, candy in her tummy, and big plans for next year’s costume. On a side note, for the next few months I will be posting to the blog less frequently. Please stick around – hopefully you’ll find the quality more valuable than the quantity. Fall is now in full color here in the Northeast US, and the leaves are slowly working their way towards peak colors. 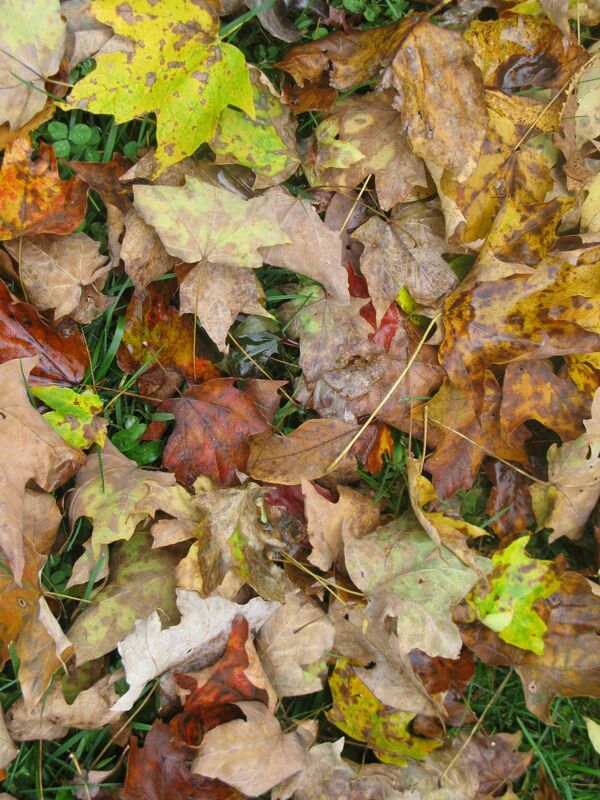 So many oranges, brown, red, and yellows! It’s amazing that trees know how to do this beautiful show each fall. So in the spirit of fall, I’m sharing some of our favorite picture books about autumn. Since Halloween is technically a part of autumn, there are few Halloween selections in here. 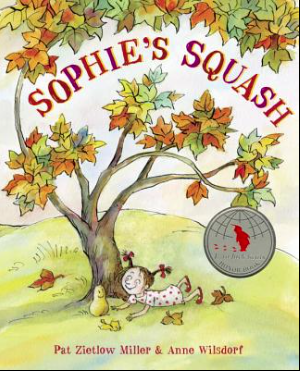 We recently discovered another autumn book to add to our collection that I will review next week, Sophie’s Squash by Pat Zietlow Miller. My daughter also insisted that we included Fancy Nancy: Halloween or Bust by Jane O’Connor. So grab a few of these books, warm up a mug of apple cider, and settle in under a blanket. Enjoy! What other autumn favorites do you enjoy? Please share in the comments! I admit, I wasn’t always in favor of graphic novels for my son. I thought of them as glorified comic books- with not as much value as chapter books or novels. But my son really seemed to enjoy them, and insisted on reading them multiple times among other (more traditional) reading. So I looked a little closer, and discovered that just like with any other type of book, the quality is more important than the genre. For Aidan, graphic novels have provided a bridge between picture books and novels. He enjoys illustrations, and going abruptly to a book with no pictures was disappointing. I didn’t realize it at the time, but he was managing this transition himself. He started with Geronimo Stilton books which are not graphic novels, but use colored text and intermittent illustrations that ease the reader towards more complex books. Aidan tried the BabyMouse series and Squish series by Jennifer Holm, the Lunch Lady series by Jarrett Krosocszka, the Diary of a Wimpy Kid series by Jeff Kinney, and the Big Nate series by Lincoln Peirce. He then moved on to more sophisticated graphic novels such as The Origin Story of Batman and Redwall. I even introduced him to intelligent comic strips along the way (Calvin and Hobbes! ), which he loved. Contrary to my fears, he still reads regular novels, and he still loves reading. When we run errands or travel, his companion of choice is a book. So I’m glad I’ve learned to expand my perspective on graphic novels. Just in time for my next emerging reader.